Finally, the exam season has arrived and students all over the country are busy with their revisions. During this stage, almost every student experiences the same exam stress or panic attacks with the fact that very little revision has been done so far and they have to do their best to score well in their exams. Here are a few best revision tips to ace your exams. Have a positive thought towards your preparations. Create an effective study plan, and keep all your class 12th study materials ready for your revision sessions. Remember to revise all the important concepts from the textbooks and other points given by your lecturers during the class hours. Never forget to refer your running notes, previous year question papers, and other model papers as it provides the complete information about the question paper pattern along with the marks distribution for each question. The best and the smartest way of revising the entire syllabus in a short period of time is by practicing or solving a number of sample papers. Always remember to study along with examples, formulae, and diagrams. This fetches full marks even though the answer is not explained accurately. So always give more importance to diagrams and its labels. Never skip any concept as it might be the compulsory question for the finals. So try to recollect as many points and make some important points out of the complete answer. If possible, feel free to clear all your doubts from your friends, seniors or lecturers. Always practice more by writing rather than reading it orally. This is the best method for memorizing the important concepts. Writing not only helps us to learn thoroughly but also makes us remember the concepts for a longer period of time and can be recollected quickly during the exams. Try to solve more math problems from NCERT Solutions Class 12 Maths as it helps students to revise the complete syllabus. Stay away from all sorts of distractions. Switch off your mobile phones, stay away from the computers and stop hanging out with your friends for long hours. Timed-breaks are required. Eat healthy, protein-rich food and have at least 7 hours of sleep to keep the mind fresh and stress-free. These were a few expert revision tips to ace your exam. For more tips and guidance, students can visit our website BYJU’S and also watch interactive video lessons on various exam related topics by subscribing to YouTube Channel. 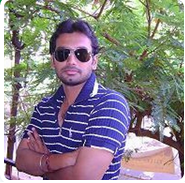 This Guest Post Submitted by TechTrickPoint Owner: Ajit Dash, he is enthusiastic about Online Marketing, Technology News, he loves to develop Digital Marketing and Social Media Entrepreneur Plans also. He loves to provide always precious information about technology news, #reviews, #apps, social media, online marketing etc. As a student, I like these all revision tips. Thanks for sharing.